Michael is a rural policy specialist and social scientist with particular interests in applying inter-disciplinary approaches to policy-relevant research and in direct engagement in the policy process. His current research focuses on the governance of sustainable agro-food systems and food security; the historical and contemporary sociology of west country agriculture; & farmer environmental attitudes and decision-making, particularly in the context of diffuse pollution and water quality. He leads Project 2 of Defra’s Sustainable Intensification Research Platform. He chairs the UNESCO North Devon Biosphere Partnership and the Stakeholder Group for the Avon Demonstration Test Catchment. He is a board member of Natural England and a member of the governing board of Rothamsted Research. 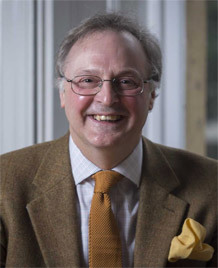 Previous appointments include: Visiting Programme Director in Food Security at Wilton Park (Foreign Office), member of Defra’s Panel of Agricultural & Environmental Economists, the National Ecosystem Assessment Expert Panel, & DEFRA’s Science Advisory Council, and a Commissioner for the Commission for Rural Communities from its inception in 2006 until its abolition in 2013. In 2000, he was a member of the Committee of Inquiry into Hunting with Dogs in England and Wales chaired by Lord Burns. In 2008-09 he vice-chaired an inquiry into the future for the uplands reporting to the Prime Minister. Agricultural policy analysis and governance. Sustainable agro-food systems and food security. Sociology, politcal economy and history of agriculture. Farmer environmental attitudes and decision-making, particularly in context of diffuse pollution and water quality. Agricultural tenure and property rights in the UK. Nature conservation, land management and ecosystem services. For more details visit the Centre for Rural Policy Research Web pages.